It all starts with sneezing, runny nose, body pains and feeling sick – we have all been through it, me too. While suffering with cold, it becomes difficult to concentrate on anything. There are almost 200 types of virus which cause cold. The virus attaches itself to the mucous membranes of the nose and throat. It forces our cells to replicate more virus cells. Coughing, sneezing, fatigue, itchy eyes, fever and congestion are caused while our body’s defense system tries to fight off the virus. Being infected with cold can also lead to various complications like acute bronchitis, pneumonia, strep throat and acute bacterial sinusitis. There are many home remedies to control the symptoms of colds to a maximum extent. Garlic, apple cider vinegar, honey and ginger some of the effective ingredients. In this article, we will learn how and why apple cider can be used for cold. Is Apple Cider Vinegar Good For Cold? Apple Cider Vinegar alkalizes the body making it difficult for the cold virus to sustain. The amount of potassium present in it helps in thinning the mucus. The acetic acid present it inhibits the bacterial growth. It boosts the immune system to fight with the virus. The smell of apple cider vinegar soothes and calms your throat. 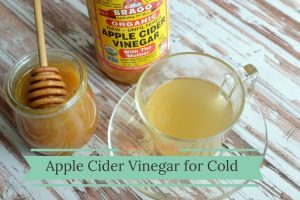 How to Use Apple Cider Vinegar for Cold? Here is the list of remedies using apple cider vinegar. Choose one of them and try it to get relief from cold symptoms. Drink 1 or 2 tablespoons of apple cider vinegar at first sight of the infection. If you cannot resist the acidic taste, mix 2 tablespoons of apple cider vinegar in a glass of water and drink it. Combine 1 part apple cider vinegar, 3 parts olive oil, 1 teaspoon Dijon mustard and a splash of balsamic vinegar. Stir well and drizzle the mix in on salads. This process relieves you from cold, flu, sinus and chest infection. To the water in a vaporizer, add 1/8 cup of cup apple cider vinegar. This process is effective in providing relief from chest congestion. Cut a piece of cloth the size of your chest. Soak the cloth in apple cider vinegar for 10 minutes. Wring out the excess liquid and sprinkle black pepper powder on one side of the cloth. Lay across your chest for half an hour and rinse off with lukewarm water. Bring 1/4 cup of water to boil. Remove from the flame and add 1/4 cup of apple cider vinegar. Pour in a cup or mug and set aside till lukewarm. Now add 1 tablespoon each of honey, cayenne pepper and lemon juice. Brew 1 large mug of mint tea. Add 2 – 4 tablespoons of honey and 2 tablespoons of apple cider vinegar to it. Repeat 5 times a day. Bring 8 oz of water to boil and add 1/8th teaspoon cinnamon powder. Simmer for 2 minutes and remove from the flame. Set aside to cool down till room temperature. Now add 1 tablespoons apple cider vinegar and 1 teaspoon honey. Combine 1/4 cup each of apple cider vinegar and honey. Consume 1 tablespoon of the mixture every 4 hours. Alternatively, you can add 2 tablespoons of the mixture in a glass of lukewarm water. To a blender, add 8 cloves of fresh garlic, 1 cup organic apple cider vinegar and 1 cup honey. Blend the ingredients for few minutes. Pour the mixture in an air tight container and refrigerate it. Add 2 teaspoons of mixture in a glass of water and drink it. Consume this daily on an empty stomach till you achieve complete relief from cold. Consuming more amounts of apple cider vinegar can irritate esophagus, canker sores or sore throat. If you are suffering from diabetes or blood sugar, avoid consuming apple cider vinegar. Apple cider vinegar can erode tooth enamel so it is better to drink it using a straw. Avoid ACV if you are pregnant or breast feeding. Avoid dairy products as they increase mucus production. Eat nutritional food to boost up your immune system. Bath or shower with warm water to get relief from the headache and muscle pain. Consume hot teas and soups. Did you try apple cider vinegar for cold? Write your experience in the comments section below. When to consume it…Post meal or before meal? You can take it post meal for effective results. is it 1x a day? 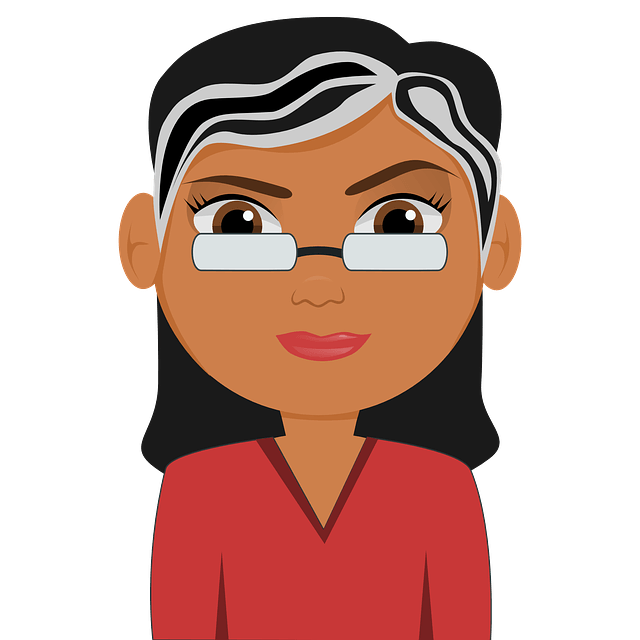 It has always worked the best for me…..OTC….drugs do nothing for me !